Like a good relationship, a new career can be fun, rewarding and even a source of inspiration. But just as you don’t expect to find true love by tapping a stranger on the shoulder on Valentine’s Day, it pays to think carefully about how to find a job you love. These are some tips to find the right fit job. Research by LinkedIn found 85% of all jobs are filled through personal networking. Successful networking hinges on giving rather than just taking, so make a point of forming relationships that are mutually beneficial, and stay in touch. Organise regular get-togethers over coffee, invite the people in your network to professional events, or suggest they join you at trade fairs. Take the time to polish up the avenues where you brand yourself – and that includes carefully managing your social media messages via Twitter, Facebook and LinkedIn by removing anything unprofessional or changing your privacy settings. Opposites may attract, but couples whose relationship survives the long term often share similar values. A similar connection can make a valuable difference in the workplace. 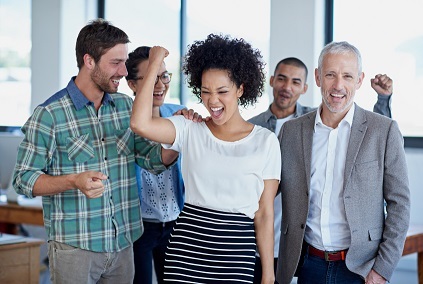 Research by Cornell University found one of the most important dimensions of job satisfaction is how you feel about what your company does. When it comes to knowing how to find a job you love, look for a role that truly puts your soft skills, qualifications and experience to good use. An OECD report found almost 40% of Australian workers feel they are over-qualified for their job – one of the highest rates of skill mismatch among OECD nations. Tensions over money can be a source of conflict between couples. It can also cause a wedge between you and your job. Research by Robert Half shows that a desire for higher remuneration is one of the main reasons why employees leave their job. So being familiar with current market salaries is a key step in knowing how to find a job you love. Salary guides are useful way to understand current rates of pay for your industry. A study by The Australia Institute found the balance between work and life has worsened for 4.9 million Australians (42% of workers) over the past five years. That makes it worth looking for employers who promote work-life balance with opportunities for flexible work arrangements or telecommuting. If you’re in a rut with your current job, the solution may not be to move on, but rather to shake up the routine. Research by the State University of New York found new experiences can activate our brain’s reward system, flooding it with the feel-good chemical dopamine. With this in mind, raise your hand to take on challenging assignments, attend training and development courses, or even mentor junior staff. It could rekindle passion for your job. Professional recruiters are career matchmakers, who can provide expert advice on how to find a job you love. From help drafting a professional CV to interview tips, and of course, exclusive job opportunities, it makes good sense to form a working relationship with a recruitment specialist. It could be the critical step to landing a role that you’ve always wanted.